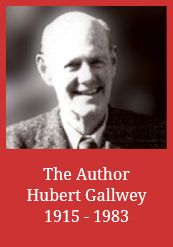 Hubert Gallwey’s scholarship is impeccable. Educated at Ampleforth and Christ Church College, Oxford, where he read modern history, he subsequently joined the British Army. He was commissioned in the Royal Artillery in 1937, served during the Second World War and eventually retired from the army in 1959 with the rank of Lieutenant – Colonel. Hubert Gallwey’s interest in Irish genealogy was of long standing, and began (as in most cases) with research into his own ancestors. However, it was not until his retirement from the army that he was able to devote himself fully to genealogy. His main interest was in Hiberno-Norman and Old English families, and the material he collected on one of these formed the basis for his only book, The Wall Family in Ireland, 1170-1970. Hubert’s research into the Wall Family was carried out in the late sixties, and the publication of the book was timed to coincide with the eighth centenary of the first Walls arrival in Ireland. His investigations led him to sources of virtually every kind for those eight hundred years; not only was the quantity and interest of the material he collected impressive, but he gained thereby experience which was immensely valuable both for his subsequent work and for his editorship of the Irish Genealogist Journal for almost sixteen years. Furthermore, Hubert’s book is a model of how a family history should be compiled and presented: the conscientious research, the expert opinions consulted, the evidence maturely assessed, and the final account clearly and interestingly written and attractively illustrated. In terms of sheer volume alone, the material is enough to confound those pessimists who feel that with the destruction of our Records Office in 1922 the possibility of compiling a proper Irish family history ceased; in fact, this was part of Hubert’s intention in writing it.